They look for and find opportunities where others see nothing. They find a lesson while others only see a problem, they are solution focused. 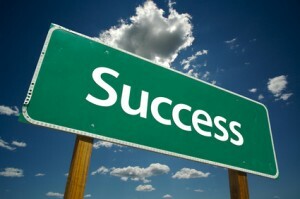 They consciously and methodically create their own success, while others hope success will find them. They are sometimes fearful like everyone else, but they are not controlled or limited by fear. They rarely complain; they realize that all complaining does is put the complainer in a negative and unproductive state. They don’t blame (what’s the point?). They take complete responsibility for their actions and outcomes (or lack thereof). They align themselves with like-minded people. They understand the importance of being part of a team. They create win-win relationships. They don’t procrastinate and they don’t spend their life waiting for the ‘right time’. They are glass half full people – while still being practical and down-to-earth. They have an ability to find the good. They are more effective than most at managing their emotions. They feel like we all do but they are not slaves to their emotions. While many people are pleasure junkies and avoid pain and discomfort at all costs, successful people understand the value and benefits of working through the tough stuff that most would avoid. They understand the importance of discipline and self-control. They are strong. They are happy to take the road less travelled. They are generous and kind. They take pleasure in helping others achieve. They are adaptable and embrace change, while the majority is creatures of comfort and habit. They are comfortable with, and embrace, the new and the unfamiliar. They are resilient. When most would throw in the towel, they’re just warming up. They don’t hang out with toxic people. They are happy to swim against the tide, to do what most won’t. They are not people pleasers and they don’t need constant approval. They don’t rationalize failure. While many are talking about their age, their sore back, their lack of time, their poor genetics, their ‘bad luck’, their nasty boss and their lack of opportunities (all good reasons to fail), they are finding a way to succeed despite all their challenges. They are multi-dimensional, amazing, wonderful complex creatures (as we all are). They realize that not only are they physical and psychological beings, but emotional and spiritual creatures as well. They consciously work at being healthy and productive on all levels. They practice what they preach. They don’t talk about the theory, they live the reality.